I'm Jeff Rogers and I am Schryver Medical's National Laboratory Director. Having been at Schryver Medical for over 15 years now, I take great pride in the lab we've built and in the part this lab has played in saving and extending lives across the country. When your sample arrives in any one of our labs nationwide, our team of trained and licensed professionals are ready. Most of them have been with us for over five years (and some over fifteen). We treat each sample with the same care as you treat one of your patients. If you ever have a question about our services ... call me or better yet, come by for a personal tour of one of our facilities. Each sample is diligently tracked and monitored throughout its time in the lab. 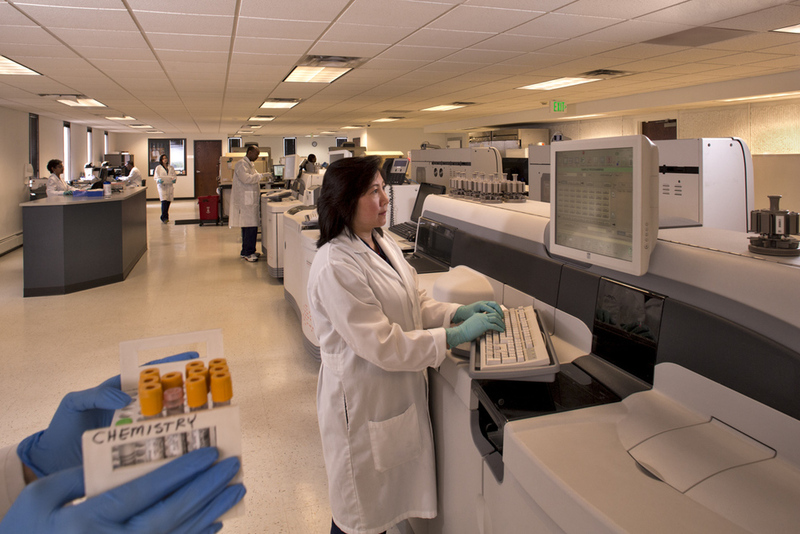 That process begins here, where Schryver's trained phlebotomists have the samples processed and scanned into our system. Upon specimen check-in, Schryver's laboratory staff apply bar codes that will track the progress of a sample's processing and testing throughout the lab. When a phlebotomist returns from collecting samples, Schryver's lab intake specialists are equipped with a bar code label printer, a scanner, a workstation, and other essential supplies. Specimen processers use these supplies to separate a sample for internal processing at shipping to a reference laboratory. The Schryver laboratory is an environment of coordination and precision. At any given moment, there may be dozens of samples being processed at the lab, 24 hours per day! The Schryver lab handles a number of types of samples for testing and analysis. Along with blood and urine samples, Schryver tests include many unique tests (such as the norovirus test). Schryver maintains a certified microbiology lab, including contained incubation and other analysis tools. Schryver Medical uses state-of-the-art technology in each lab, such as the VITROS 3600 Immunodiagnostic System pictured here. Schryver operates a number of state-of-the-art laboratories nationwide. Each lab tests samples with identical equipment to standardize results.